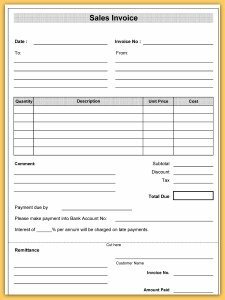 A sales invoice template is an outline document into which is added information relevant to each and every sale you make to a customer. Bookkeeping computer software that has the capability of producing invoices. Here are templates for you to download for free, one in PDF and one in Excel. Click on the graphic for download. 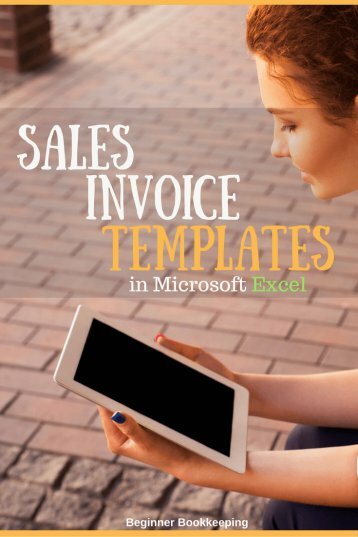 Excel sales invoice template - new style. Click here to download the excel document. 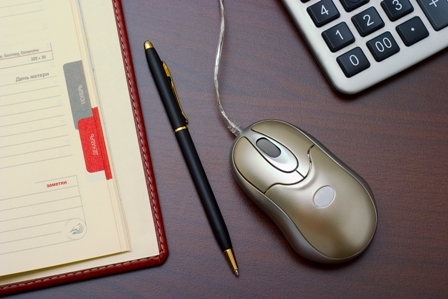 What's On a Sales Invoice? Hint - always use the decimal point and cents units. Example, $5.00 is better than $5 This avoids any doubt about the full cost. You probably receive sales invoices, also called bills, all the time. Study one and take note of what information is on it. What details from a sale should an invoice include? The customer’s name and address. An invoice number. Start with something like 4001 or 0002510 rather than number 1 which is too basic. The date of the sale. If you deliver a product and only prepare the invoice several days later, use the date you prepare the invoice. 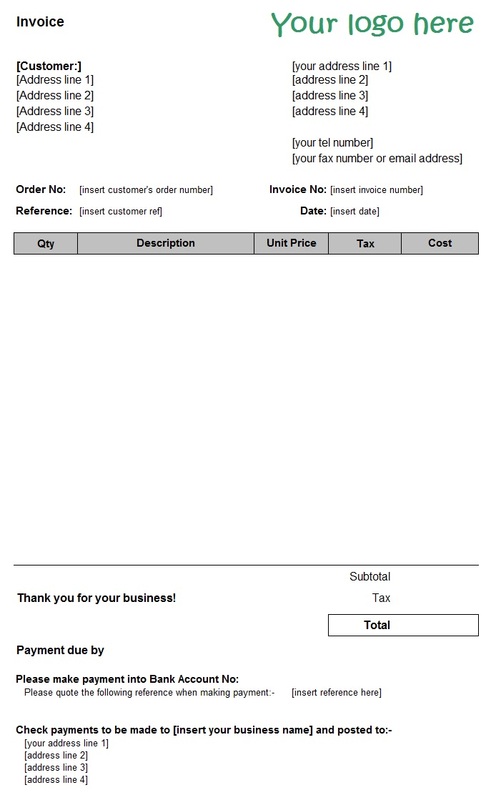 On the invoice you could indicate the delivery date and docket number in the Description column. (It’s always a good practice to issue delivery dockets if the invoice is only going to be posted out at a later date). The customer purchase order number if they have given you one. The above optional items are optional because you could put a one-line detail into the ‘Description’ column. For example - ‘3 x hats @ $5.00 each’ with the total of $15.00 in the ‘Cost’ column. It looks more professional to use all the columns so it depends on your situation. Many businesses provide both service and parts in the same job (like a plumber spending time fixing a sink - the service, and providing the replacement parts - the items). These can both be included on the same invoice. Your payment terms should indicate whether you want cash on delivery, or payment within 7 days or by the end of the month following the date of invoice, etc. This is a bit of paper the customer can return to you with their payment so that you know who it’s from and what sales invoice it is for. A blank line onto which they can write how much they are paying (if they are not paying the whole amount). You could offer an early payment discount of say 10% as an incentive for the customer to pay cash before receiving delivery, or to pay by the due date if you extend credit. Just be sure you can afford the discount. Does your markup cover it? Most people love to know they can pay less than they have to. If a discount encourages them to pay on time at least you are getting the money in and not wasting energy, time and money on chasing overdue payments. You can also offer a discount to customers who buy in bulk. Here again you need to decide what your limits are. A customer buying 100 hats could well deserve a discount of 20% as long as your original markup per hat still allows you some profit after this discount. In the USA, discounts are usually not an expense to your business but are rather a reduction in sales i.e. gross sales minus sales discounts equals net sales. You can open a Sales Discount income account on your Chart of Accounts. In places like the UK or New Zealand, a sales discount is often recorded as an expense. So you need to research what bookkeepers normally do in your country for sales discounts also known as discounts allowed. An error has occurred such as an overcharge. A customer complains about the product and you decide to give them a discount. To ‘cancel’ out a sales invoice when an unsatisfied customer returns a product. 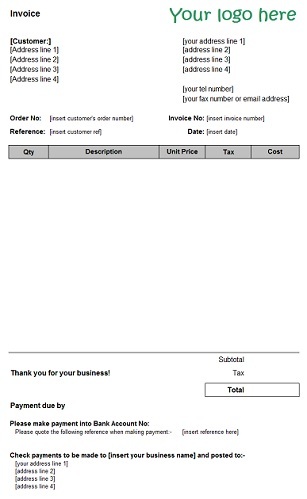 You can use the exact same layout as your sales invoice template replacing the words ‘Tax Invoice’ with ‘Credit Note’ and put a negative sign next to the value (like this -$5.00). 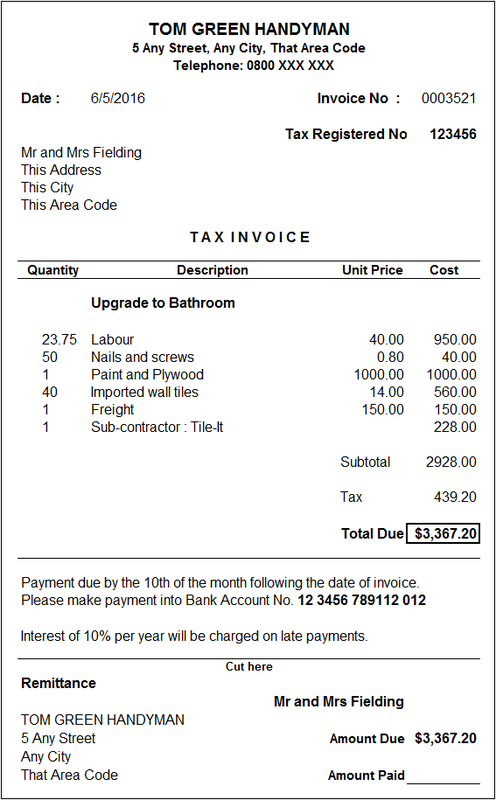 In the description column be sure to indicate which sales invoice the credit note is amending. Keep the description short and sweet; if you want to keep lots of detail put it on a separate sheet of paper to file away with the copy of the credit note. Post out to the client as you would a sales invoice.